Hebe are evergreen shrubs or small trees, with paired, simple leaves and racemes or spikes of small, 4-lobed, tubular to salver-shaped that flower in the summer and autumn. There are around 100 species of Hebes. Euonymus is one of the most versatile evergreen shrubs. There are around 130 varieties both green and variegated. Viburnum can be deciduous or evergreen shrubs with opposite, simple or palmately lobed leaves and clusters of small, often fragrant white or pink flowers, followed by red, blue or black berries. 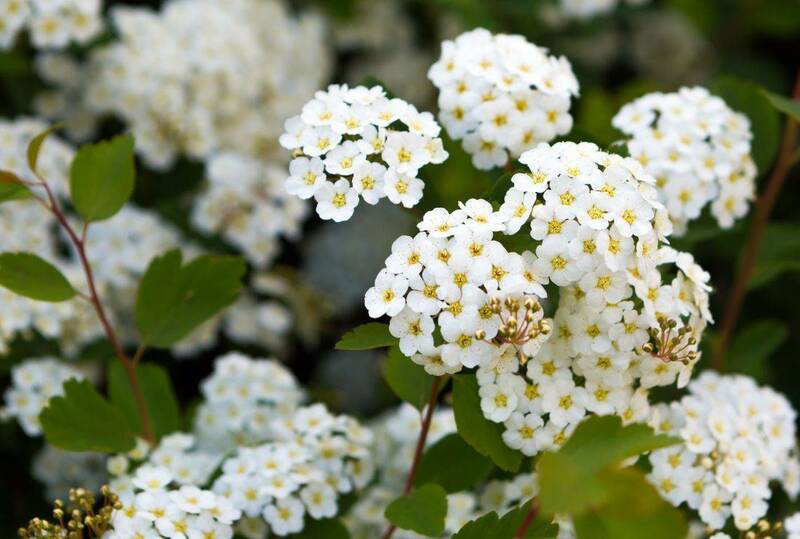 There are over 150 species of Viburnum. The flowers of Sambucus nigra are used to produce elderflower cordial . St-Germain , a French liqueur, is made from elderflowers. Buddleja can be evergreen or deciduous shrubs, occasionally trees or scrambling climbers with simple leaves and panicles of small, tubular fragrant flowers. There are around 140 Buddleja species.